We’d love your help. 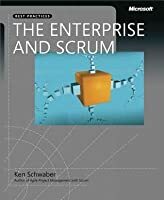 Let us know what’s wrong with this preview of The Enterprise and Scrum by Ken Schwaber. It's time to extend the benefits of Scrum--greater agility, higher-quality products, and lower costs--from individual teams to your entire enterprise. However, with Scrum's lack of prescribed rules, the friction of change can be challenging as people struggle to break from old project management habits. In this book, agile-process revolution leader Ken Schwaber takes you t It's time to extend the benefits of Scrum--greater agility, higher-quality products, and lower costs--from individual teams to your entire enterprise. However, with Scrum's lack of prescribed rules, the friction of change can be challenging as people struggle to break from old project management habits. In this book, agile-process revolution leader Ken Schwaber takes you through change management--for your organizational and interpersonal processes--explaining how to successfully adopt Scrum across your entire organization. A cofounder of Scrum, Ken draws from decades of experience, answering your questions through case studies of proven practices and processes. With them, you'll learn how to adopt--and adapt--Scrum in the enterprise. And gain profound levels of transparency into your development processes. 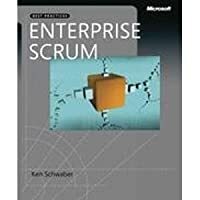 To ask other readers questions about The Enterprise and Scrum, please sign up. Amazingly, one can be considered an expert and still write a book based on the it-worked-for-my-friend's-company type of argument. Supposedly, there's the following framework: if the company has some issues, we should just switch to Scrum and then follow it strictly. If there's something messing with our switch, we should call it “impediment”, fix it, and be happily sure that these impediments were the main issues in our company. The question of why this is the case is never discussed. Well, maybe Amazingly, one can be considered an expert and still write a book based on the it-worked-for-my-friend's-company type of argument. Well, maybe this book isn't supposed to convert me. So it quickly goes to the description of how one should transit to Scrum (create Scrum team that will guide other teams to Scrum; also, it should fix the impediments) and some discussion of possible problems. Then, there are solutions. Scrum master (spelled as “ScrumMaster”) isn't good enough? Replace him. Product Owner can't cope with the backlog? Replace him. Team still works slowly? Replace everyone. Legacy code is discussed for several pages in the most obvious possible way. Proposed solution? Fix it or deal with it. 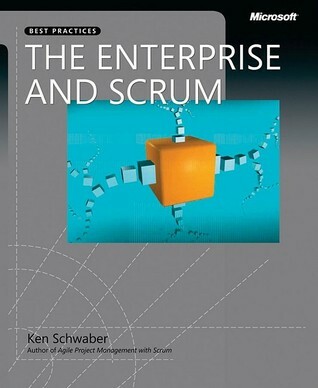 Enterprise Scrum, Ken Schwaber, en av grundarna till Scrum. Idag konsult, författare. Ett tips kan vara att sätta upp ett visionärt högt mål, typ halverade ledtider inom ett år för att inspirera och för att visa att förändringsprocessen verkligen är på G.
The concepts are very useful are as the case studies and disparate implementations that are outlined. The author, though an expert (and founder) of Scrum/Agile is surprisingly inarticulate, at times repetitive and often disorganized in his presentation for the sake of convincing readers of value while educating them in his ideologies. It reads as an off-the-cuff brain dump from 20 years of presentations rather than a book. As a 10,000 foot reference and introduction I would recommend this as a good read. Helpful for teams and managers getting ready to implement or adopt scrum as introductory preparation material. If you are already using scrum or other agile methods this is probably not a huge value add but worth the read as a quick refresher. An interesting approach into how enterprises can be run by using Scrum. Not maybe the easiest way to implement and doesn't give so many real life tips how to do this (as enterprises are static like rocks). Anyway, gives a very good alternative approach for managing teams and hierarchies. This books takes the Scrum to the next level - from a single project to the organization level. It does OK job on that, but nothing that will blow your mind. If you are into Scrum and methodology development, you'll want to read this. Allgemein Hinweise, wie man Scrum im Unternehmen einführen kann, n paar Tipps und Erfahrungen, aber im Prinzip nicht viel Neues. Provides some additional information about Scrum. Too bad it is poorly written. Interesting but not immediately useful for me.